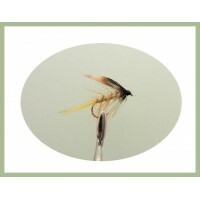 The Silver Invicta trout fly is great all year but best in late summer to autumn. Designed long ago by James Ogden it is still very widely used today. It is a complex pattern that has lived on because of its effectivness. 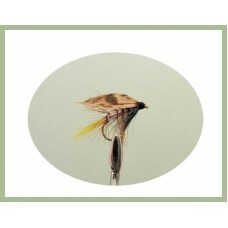 The Invicta is real favourite for lake fishing and has a good reputation among trout fishermen. The pattern suggests insects and really resembles caddis and also small fry. 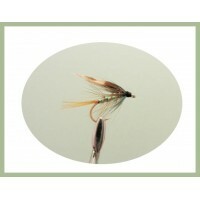 The silver Invicta wet fly is also an excellent sea trout fly in the larger sizes. The Fly is a great pattern to use during a sedge fly rise, probably imitating a hatching caddis or returning egg-laying female caddis that descends beneath the water. 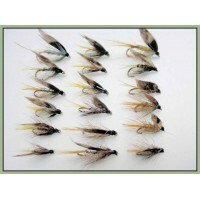 Wet Trout flies in a handy pack of 18 flies for easy purchase. This pack of wet flies contains the f.. 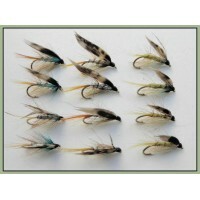 Wet trout flies in a handy pack of 12 flies, this pack contains the following flies: Please se..